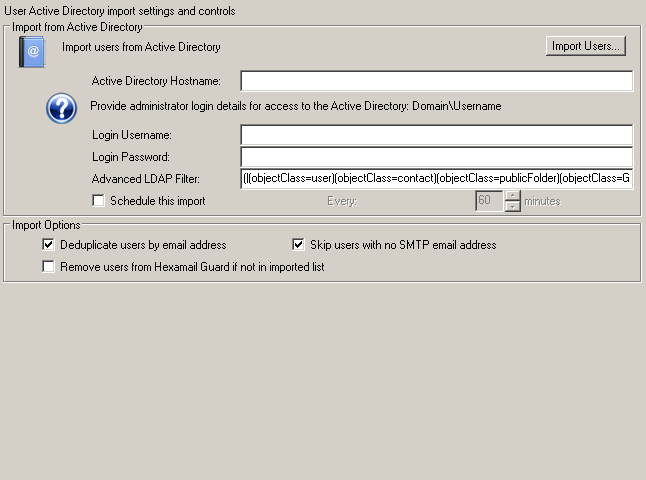 This page allows you to import users from Active directory. This allows you to automatically import the list of users, and groups from Exchange, and automatically synchronize the lists. Just re-import to synchronize the list, or use the scheduling to have it done automatically.